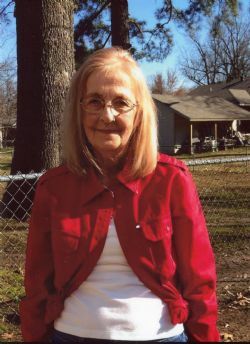 Norma Jean Passmore Dayberry, 64, of Des Arc, Arkansas passed away Friday April 12, 2019 at her home. Norma was born April 11, 1955, in Mountain View, Arkansas to Buster Passmore, and Verbalea (Younger) Passmore. Norma was a loving daughter, wife, mother, sister, and grandmother and will be greatly missed by all of her loving family and friends. Norma was preceded in death by her parents, Buster Passmore and Verbalea (Younger) Passmore; one son Gary Don Dayberry; and one granddaughter McKenzie Dayberry. Norma was survived by her son Ronnie Dayberry; and her daughter Tonya Mapps; a sister Linda Fletcher; and six grandchildren. Norma worked at Blanchard Shirt Factory and The American Legion. She was of the Baptist faith and was a member of Vine Avenue Missionary Baptist Church. Visitation is Sunday, April 14, 2019, 2:00pm at Roller Coffman Chapel in Mountain View, Arkansas. Funeral services will follow the visitation beginning at 3:00 PM with Brother Gary Don Fletcher, Junior Barham officiating. Interment will be at Flatwoods Cemetery in Mountain View, Arkansas. Pallbearers are Donnie Fletcher, Lance Bonds, Paul Wakefield, Michael Pitts, Jesse Baldridge, and Brandon Bonds. Roller Coffman Funeral Home in Mountain View, Arkansas is in charge of the arrangements. Click Play below to view the Video Memorial for Norma Jean (Passmore) Dayberry. If you would like to order a DVD copy of the video, please contact the funeral home at 870-269-3462.